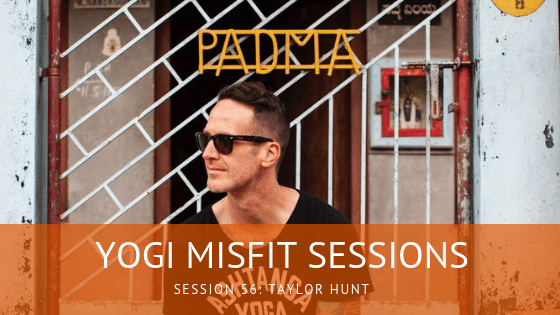 For Session 56 I was joined by Taylor Hunt. This guy is straight up amazing. He has a great story about how yoga entered his life and turned it around. From being a former addict, he now runs the Trini foundation, a non-profit organization dedicated to sharing the life-changing practice of Ashtanga. Plus, he has written his own book, A Way from Darkness, where he documents his journey from addiction to health. This guy is a true inspiration and it was an honor getting to speak to him. Hope you enjoy! Plus, make sure you check Ohmme. They offer high-performance and eco-friendly sports clothing and activewear specifically for men.